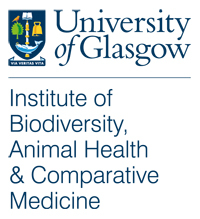 For International Women’s Day this year, the Institute of Biodiversity, Animal Health & Comparative Medicine celebrated with a special social event in the museum, where an extra special speech was given by one of our highly respected senior academics. In this episode, we capture the highlights of Prof Pat Monaghan‘s Women’s Day talk, wherein she speaks about her career in academia and the challenges she has overcome as a woman in science. Be sure to listen all the way through – Pat’s inspirational rap is not to be missed! Don’t forget you can subscribe to automatically receive all our latest content, or just our podcasts. We are also available on iTunes and other podcast catchers. This podcast was produced by Ellen Hughes, Jenni McIntyre and Taya Forde.